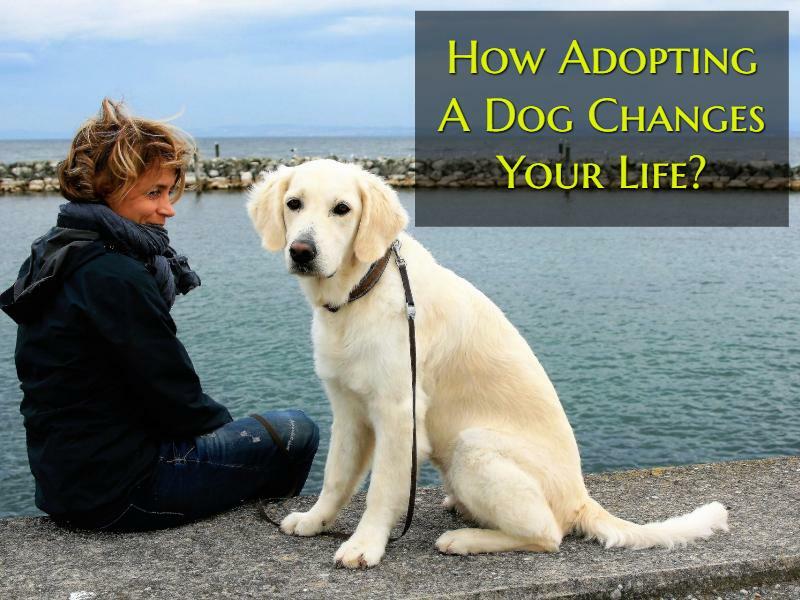 Adopting a dog changes your life in many ways that you could think of. The amount of sheer joy that you will experience every day is more than what you could have imagined. This is especially true if you adopt a rescued dog because then you will be making a happier transition in someone else’s life. If you are looking forward to adopt but are still unsure then let us convince you by stating some honest ways a dog will change your life for the better. There is a good reason dogs are trained for therapy sessions. They are tactile, easily trained, non judgmental, loyal and they will treat you with even more love and respect than what you give to them. You are going to smile more and live a more happy life when you adopt a dog. They will be support you emotionally when you really need it and sometimes they even lend you some help physically. A dog teaches you many lessons and compassion are one of the most important ones and this also helps you improve your relationship with your friends and families. When you see how much gratitude, adoration, love and protection a dog gives back in exchange for your company, you are bound to feel compassion not only for your dog but also towards other living beings. This is the reason most dog owners tend to be more sensitized when it comes to the needs of others. You can even check out https://www.bestdogcrateguide.com/ if you want to keep your pet even more comfortable while travelling. There would be times were your dog will do things that you don’t approve of. This could be anything from chewing off your favorite slippers or barking constantly when you are doing something important. You need to understand that it is ok to get angry but the important thing is to not regret your decision. A dog is like a child and he or she will make mistakes but the moment you see those puppy eyes groveling for forgiveness, you need to let things go and choose to be happier with your pet’s company. Pets in general help their owners live not only a happier life but also a healthier one. They will keep your blood pressure levels low and also reduce your anxiety levels by a great degree. Some studies also show that when a dog loves its owners unconditionally both physiologically and scientifically. Its brain produces the same hormone that humans in love produce when it lays its eyes on his or her owner. The emotions dogs feel are similar to what their owners feel and there have been many instances when dogs have saved their owners life by alerting others during their owner’s health emergencies. When you get attached to your dog, you start spending more time with them. This can make you stay home more to take care of them and not to other stuff that you previously liked going to bars, movies etc. Now this lifestyle change does not necessarily happen with everyone and is not universal. If you are thinking that it is too much trouble to let go of certain things for your dog then free your mind because the majority of dog owners admit that it is not a sacrifice but their own free choice to make more time for their pets. You might choose to let go certain things but it is ok even if you still want to continue your old lifestyle when a dog comes because your pet is someone who will adapt in all conditions. So these were the five ways in which having a dog will change your life for the better. We hope this make you a little more inspired to buy or adopt a dog!